AVELLUM is a leading Ukrainian full service law firm with a special focus on finance, M&A, dispute resolution, tax, and antitrust. The firm covers banking and finance, capital markets, competition, corporate/M&A, dispute resolution, employment, energy and infrastructure, real estate, restructuring and insolvency, and tax. AVELLUM aims to be the firm of choice for large businesses and financial institutions in respect of their most important and challenging transactions. The firm builds lasting relationships with clients and makes them feel secure in new uncertain economic and legal realities. The firm incorporates the most advanced Western legal techniques and practices into its work. By adding first-hand knowledge, broad industry experience, and unparalleled level of service AVELLUM attorneys deliver the best results to clients in their business endeavours. AVELLUM’s lawyers seamlessly cooperate with leading international law firms in the course of multi-jurisdictional transactions. The firm offers its clients highly-individualised focus on their matters, and is relentless when it comes to observing deadlines. AVELLUM’s clients include international and domestic companies, governmental authorities, financial institutions, investment funds, and investment banks seeking specialised legal advice and transactional skills from legal experts in the above practice areas. To be more specific, AVELLUM’s clients list includes AGCO, Canada Pension Plan Investment Board, Coast2Coast, the City of Kyiv, Deutsche Beteiligungs AG, Boehringer Ingelheim GmbH, Deere & Company, EBRD, Ferrexpo, ILTA Commodities S.A., ING Bank N.V., Karavan Group, Kernel, MHP S.A., the Ministry of Finance of Ukraine, Uber, Unicredit Group, Ukrzaliznytsia, and many others. The team of professionals at AVELLUM successfully applies time-efficient and cost-effective approaches and creates integrated solutions for businesses. The partners are taking an active role in every transaction and ensure smooth teamwork. 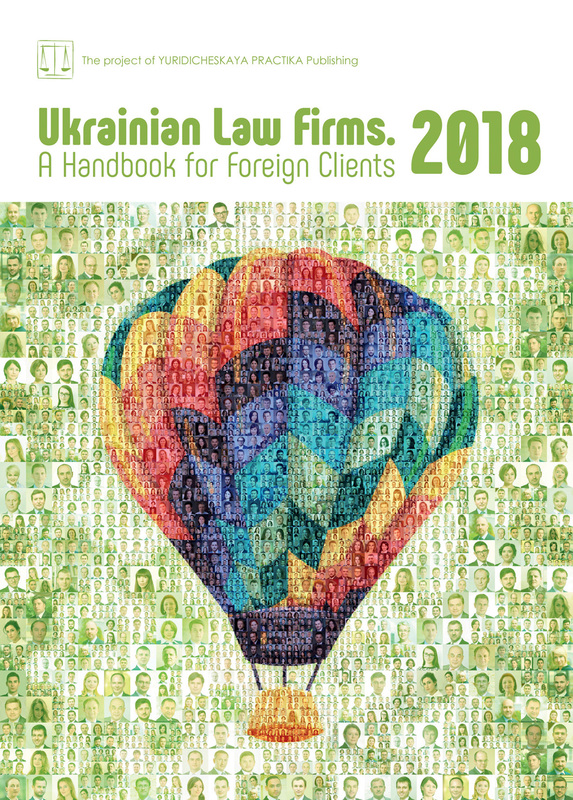 AVELLUM is recognised as one of the leading law firms in Ukraine by various international legal directories and Ukrainian legal editions, such as Chambers & Partners, IFLR1000, Legal500, International Tax Review, Ukrainian Law Firms, and others. Will the New Draft Law On Concessions Trigger a Flurry of Investment into Ukraine? Concession agreements are a widely accepted instrument employed by numerous countries to attract investment to infrastructure projects. Ukraine is still a little far behind in this respect. However, the Draft Law No.8125 On Amendment of Certain Legislative Acts of Ukraine on Regulation of Concession Activity for Involvement of Private Sector in Implementation of Public-Private Partnership, Including Concession, with Infrastructure Modernisation Purposes (Draft Law) has ambitious aim to unify and improve the existing concession legislation, and subsequently change the state of affairs. The existing legal framework does not only eliminates the chance for the transparent concession tender procedure, but also removes certainty for the private investor when it comes to the application of vague and inconsistent legislative provisions. As a result, we have an unsettling statistics of registered concession agreements (CA) in Ukraine. In general, there were 138 CA since 2000, and only eight of those were on state property, while all the others were on municipal property1. The number of successfully completed concession projects is significantly lower. Considering major obstacles for the realisation of concession projects, there’s an absolute disconnect between concession and land legislation is at the very top. If the grantor is not authorised to dispose relevant land plots, there is effectively no guaranty that a concessionaire will obtain any rights to such land plots, which renders impossible any construction process within the concession. In 2017, under the supervision of the Ministry the Draft Law was developed. The Draft Law was passed by Parliament in the first reading on 3 April 2018. Considering that the final version of the Draft Law can change substantially during its further adoption by the Parliament, we will focus on the list of major changes, without going into details. The Draft Law complies with the public-private partnership (PPP) legislation by (1) establishing institutions and mechanisms stipulated in the PPP Law; (2) providing that Concession is a form of PPP and will be applied based on the results of the analysis of the effectiveness of the PPP; and (3) differentiating concession from other forms of PPP. The PPP Law does not apply to concessions, except in cases expressly provided for by the Draft Law. The Draft Law extends the list of those, who can perform the functions of the grantor in relation to state property to governmental authorities or state-owned business entities that manage state-owned property. The Draft Law envisages that companies, institutions, organisations, and/or business associations may represent the grantor. However, one important condition has to be satisfied; 100% of their authorised capital must belong to the state, territorial community, or Autonomous Republic of Crimea. A private legal entity or a group of companies that are residents of Ukraine can be concessionaries if they comply with guidelines for applicants and participants, approved by the grantor, as well as restrictions on attendance in a concession tender, prescribed by the Draft Law. Among those who are prohibited from participation in concession tender are companies and their affiliates, registered in the aggressor state (as defined by Parliament), or those that are subject to Ukrainian or international sanctions. The Draft Law envisages the mechanism for the replacement of the concessionaire through direct agreement between them. The replacement may be initiated by the grantor or by the concessionaire’s creditor, which finances the project. The Draft Law provides for amendments to land legislation that generally make the concession mechanism work. However, there is an urge for a more balanced approach when it comes to the termination of third parties’ rights to a land plots for the needs of concession. Such an approach must correspond to the provisions of Article 1 of Protocol No. 1 to the European Convention on Human Rights. The Draft Law expands the procedure for determining the concessionaire through tender (Tender), competitive dialogue and tender (Competitive Dialogue), and direct negotiations. Tender is the most common procedure for determining the concessionaire. The procedure generally takes 682 calendar days and consists of 28 interactions. However, the Draft Law does not establish the duration period for 4 of those interactions within the Tender procedure. The grantor can apply the Competitive Dialogue procedure if they cannot clearly define a concession project’s technical and qualitative characteristics, or in case of uncertainty regarding technical, financial, and legal decisions proposed by the market. In such case, the grantor can make an optimal decision by negotiating with participants. However, it is unclear how the feasibility study for the concession project can be prepared and how it can be subsequently checked at the preliminary stage of the above negotiations (analysis of the effectiveness of the PPP in a form of concession). The procedure generally takes 604 calendar days and comprises 26 interactions. However, the Draft Law does not establish the duration period for 4 of those interactions within the Competitive Dialogue procedure. Direct negotiations can be conducted by the Government’s decision if there is (1) a necessity to ensure national safety and security; (2) a possibility to provide work or services by one person (know-how, copyrights etc. ); and (3) an initiation of transformation of state property lease into concession by the lessee (Lease Transformation). Out of the above direct negotiations options, the Draft Law regulates only the Lease Transformation procedure. Such procedure generally takes 195 calendar days and comprises 16 interactions. However, the Draft Law does not establish the duration period for 6 of those interactions within the Lease Transformation procedure. The Draft Law empowers the tender commission to oblige the participants of concession tender to ensure their bids by means of a guarantee or in another form. The amount of such insurance must not exceed 1% of the anticipated amount of capital investment into the concession project. According to the tender application guidelines, insurance for the bid may be prescribed as the performance of the obligation under the CA by the winner of the tender. The Draft Law provides for the state support of concessions, in particular, through the grantor’s payment in favour of the concessionaire for the concession object’s readiness and purchase by the grantor of a specified amount of goods (works or services) produced or provided by the concessionaire under the CA. If the CA is terminated due to the violation by the grantor, he needs to compensate the concessionaire’s losses and investments that were not reimbursed during the term of the CA. The Draft Law provides for the possibility of resolving disputes arising from the CA by way of arbitration. Interestingly, this option is available not only if a non-resident or a company with foreign investments is a party to a CA, but also if an applicant or a concessionaire or one of their founders is under foreign control or is a physical person who is a non-resident. It is evident that the Draft Law opens a new horizon for the possibility of concession projects. However, its success at triggering the waterfall of investments in Ukraine largely depends on having stable political and economic situation in the country. Moreover, there is a need for careful impact assessment prior to the Draft Law to be transformed into new legislation. 1 The Register of the CA / The official web site of the State Property Fund of Ukraine // [Electronic source]. — Access mode: http://www.spfu.gov.ua/en/content/spf-rent-consessions.html. According to the statistics of the Ministry as of 1 January, 2018, 157 CA in Ukraine are under implementation (The official web site of the Ministry // [Electronic source]. — Access mode: http://www.me.gov.ua/Documents/Detail?lang=uk-UA&id=ed00a2ba-480a-4979-84eb-d610a0827a8c&title=ZagalniiOgliad).